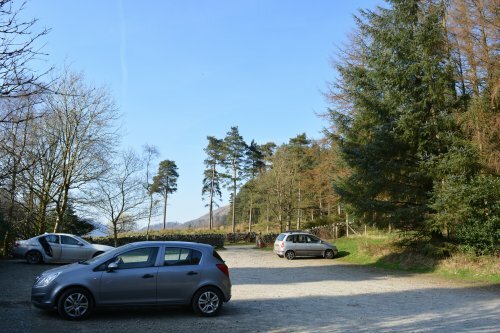 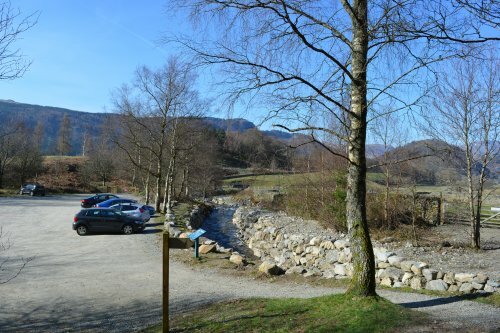 The Wythburn car park at the southern end of Thirlmere, a convenient starting point for a circular walk over xyz. 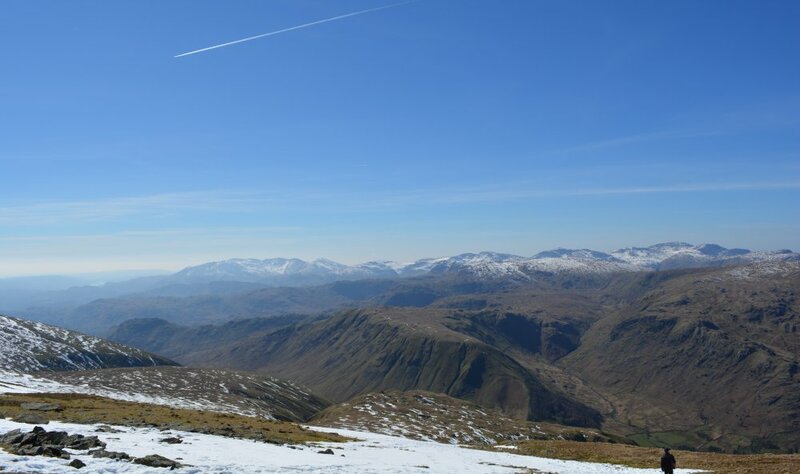 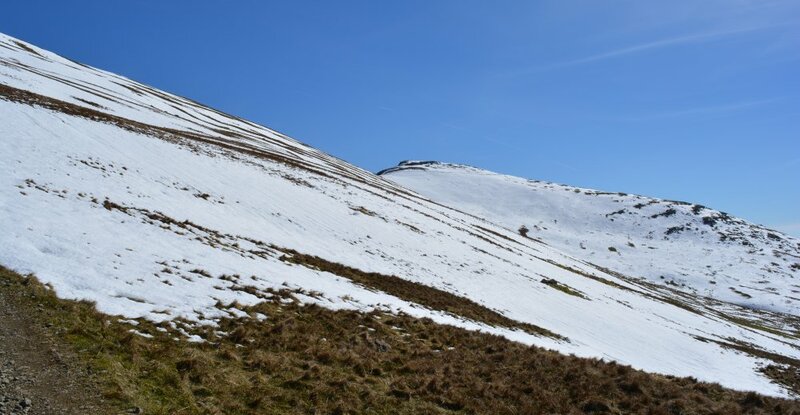 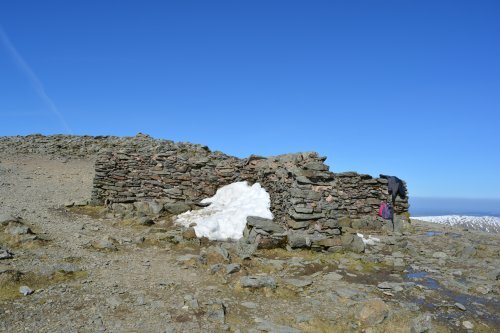 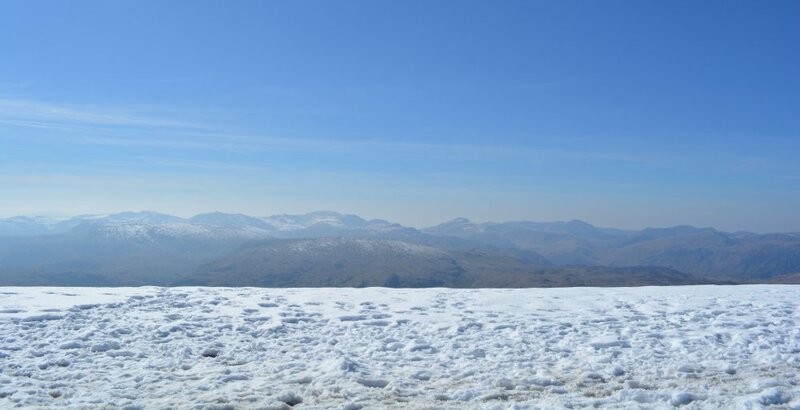 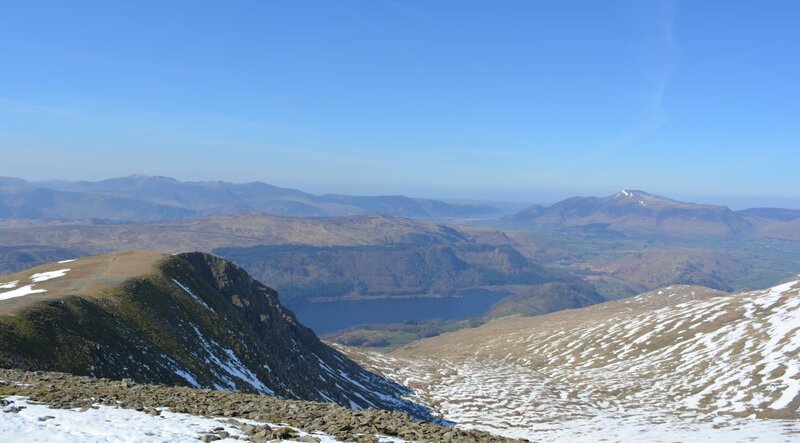 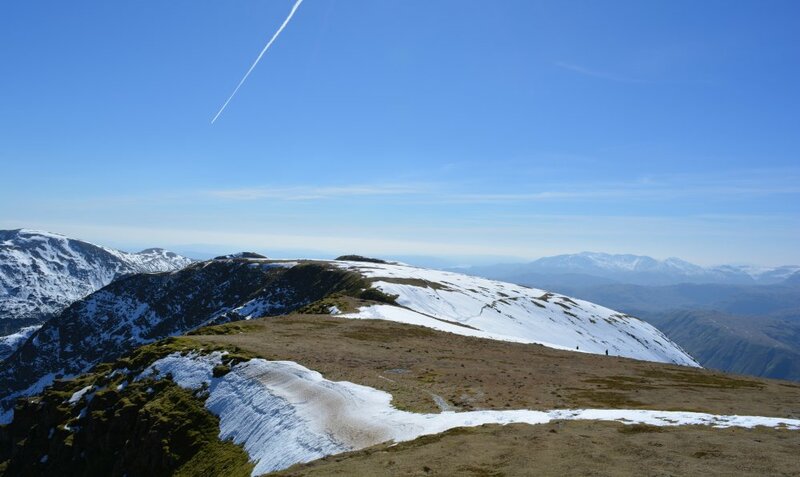 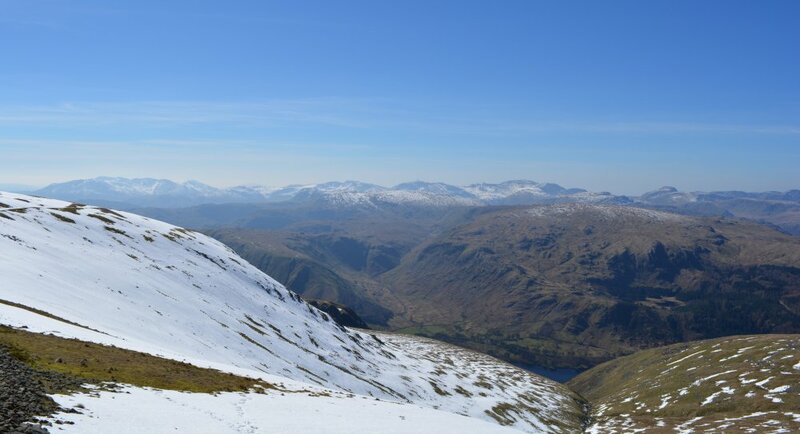 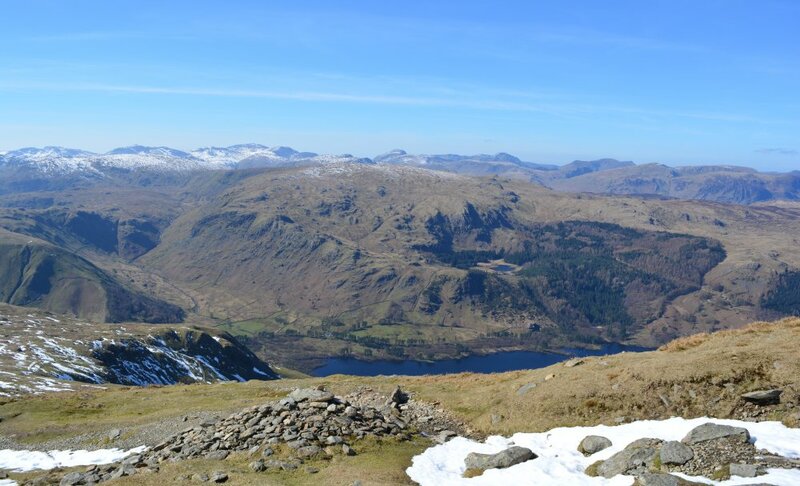 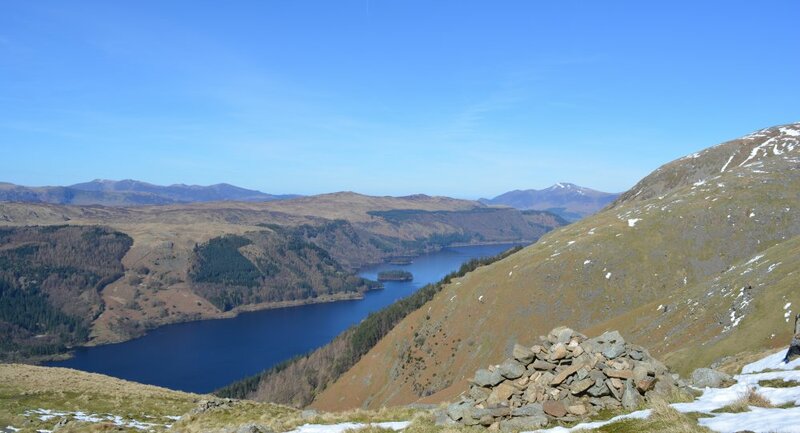 A great clear warm, yet crisp day, in late March 2017 to tackle Helvellyn from Thirlmere, never done it this way before. 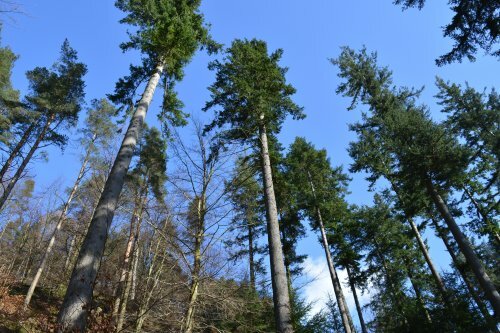 You head east climbing up through the trees before real hard work up xyz begins! 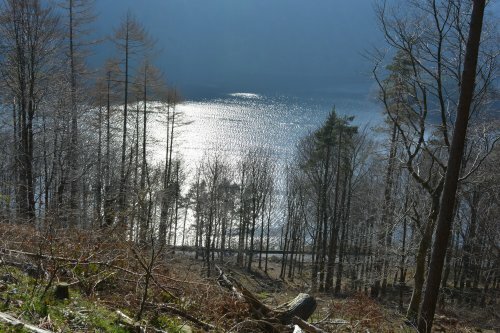 ... and soon leave the Thirlmere forest behind. 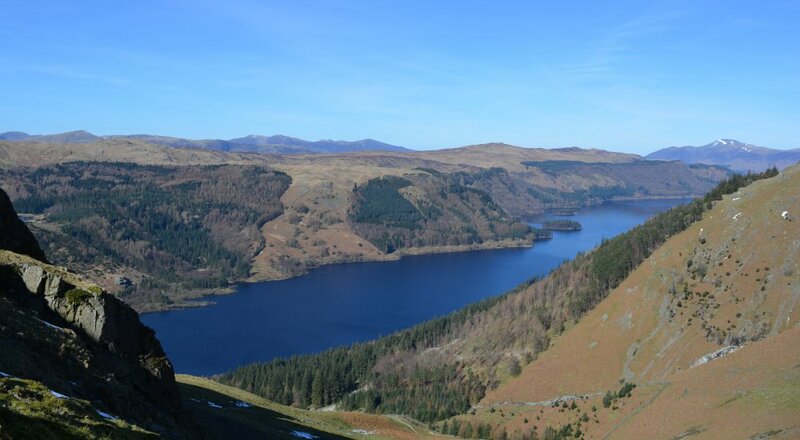 Great views of Thirlmere nearly all the way up xyz. 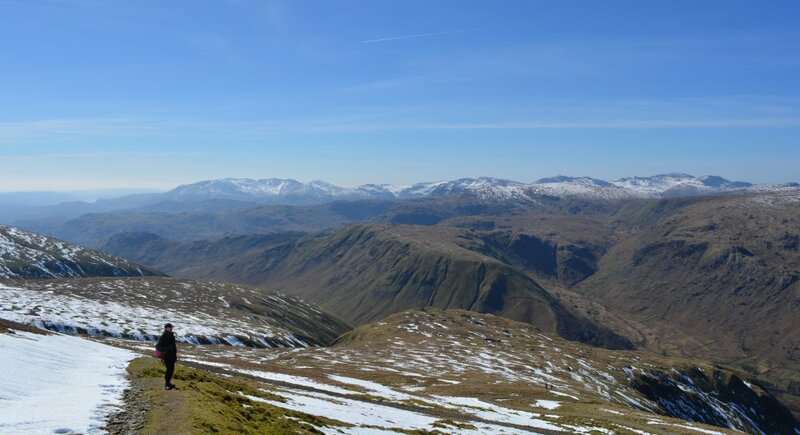 Looking across to the fells of Grasmere Common and beyond the Langdale Fells. 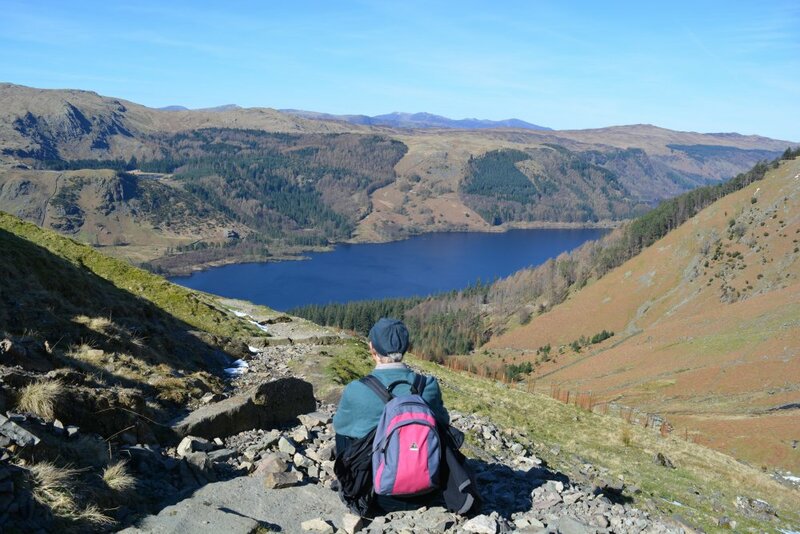 Phil II communing with nature! 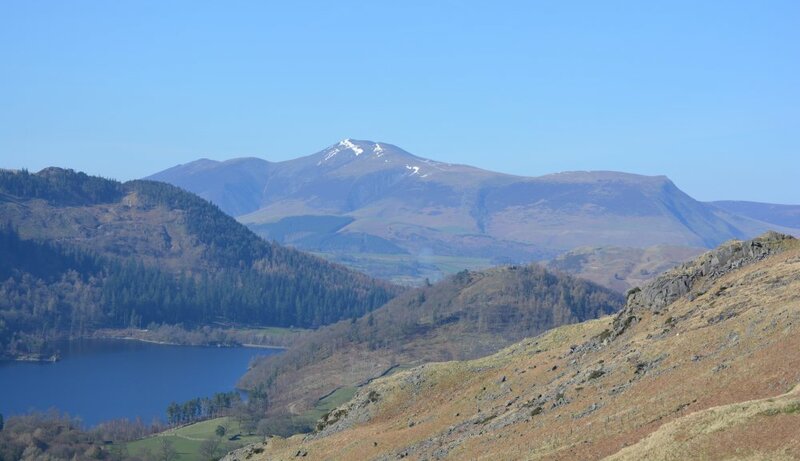 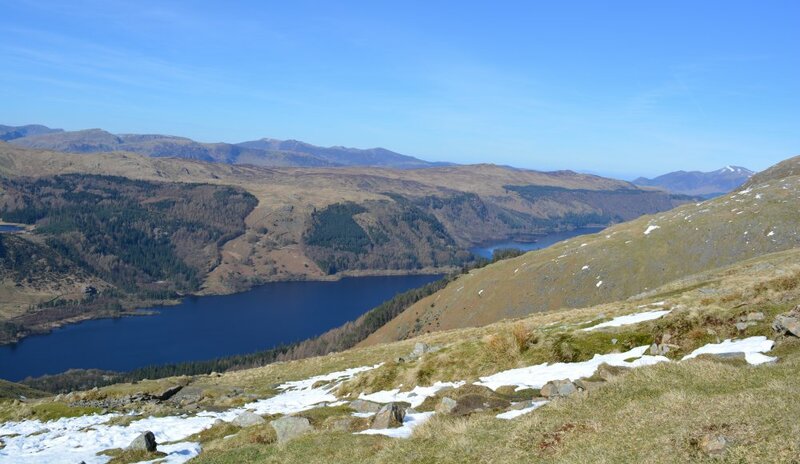 Looking northwest across Thirlmere, Skiddaw range in the distant right. 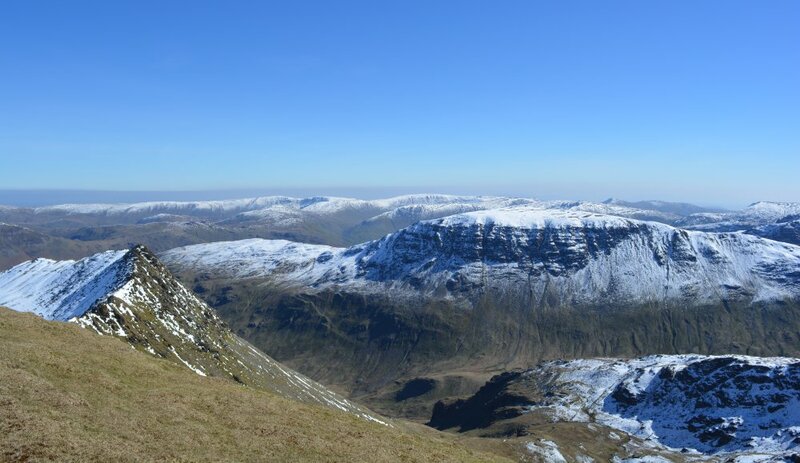 View southwest towards Steel Fells and Wythburn Fells. 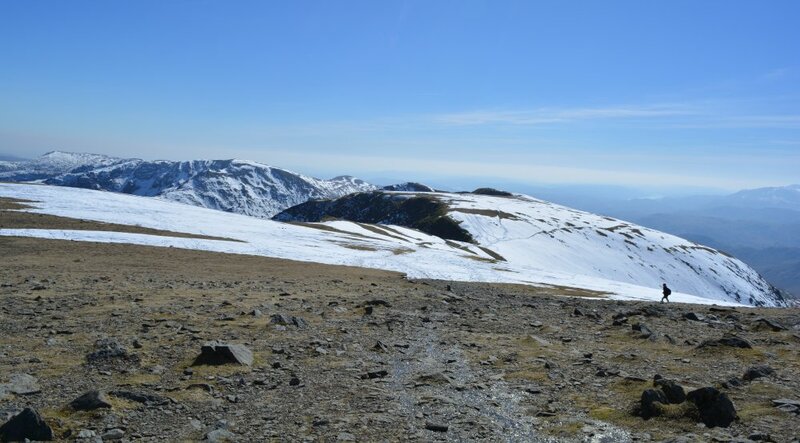 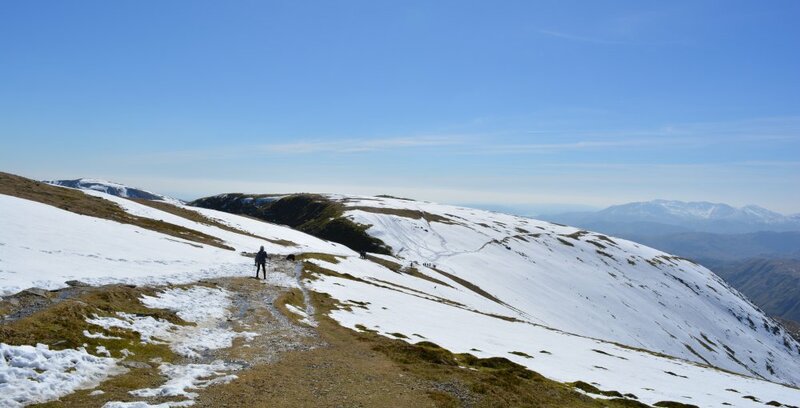 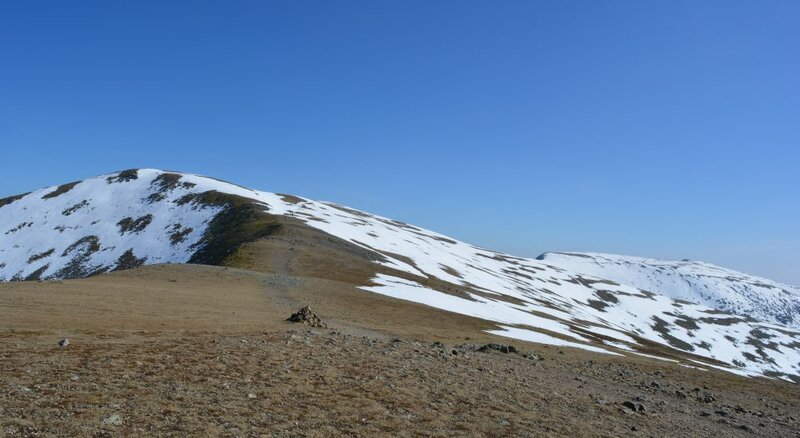 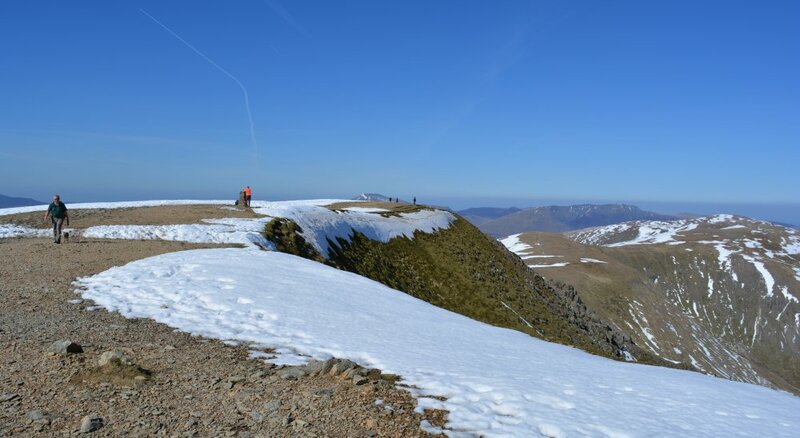 *Walking up to Helvellyn below Nethermost Pike. 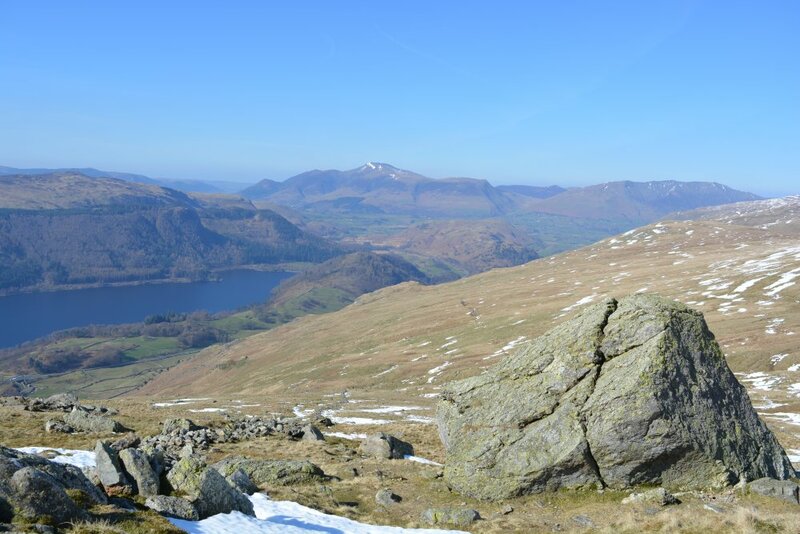 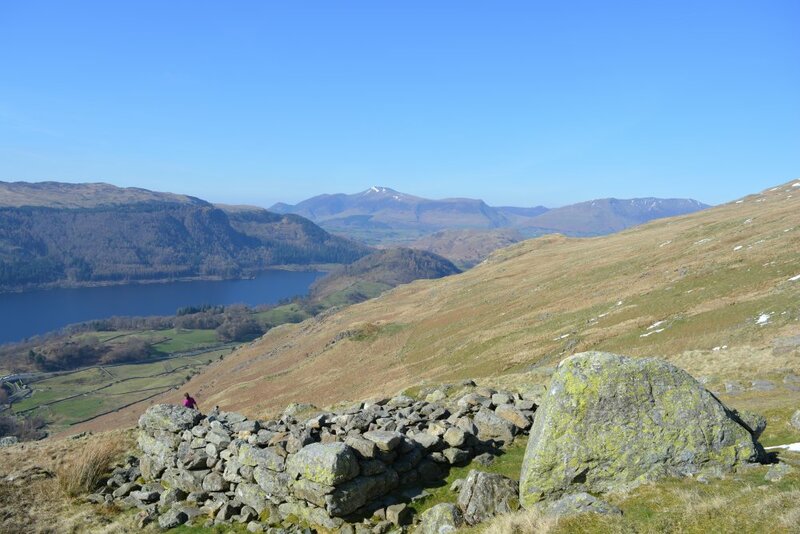 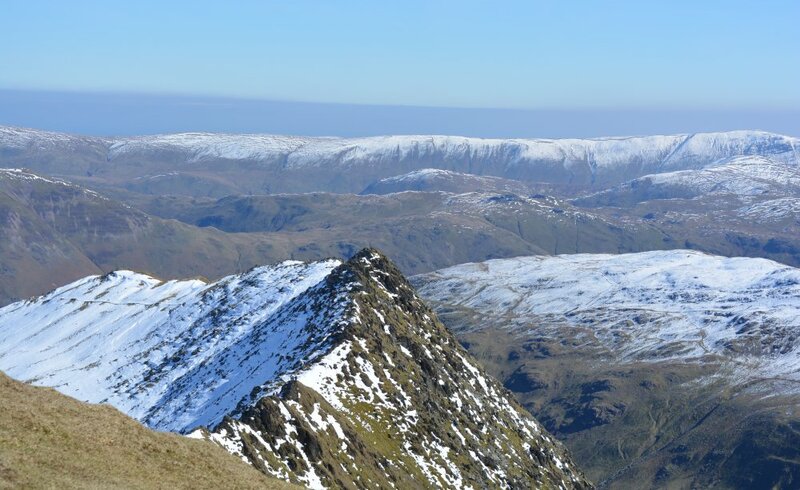 Looking up to the ridge of Nethermost Pike and beyond to Dollywaggon Pike. 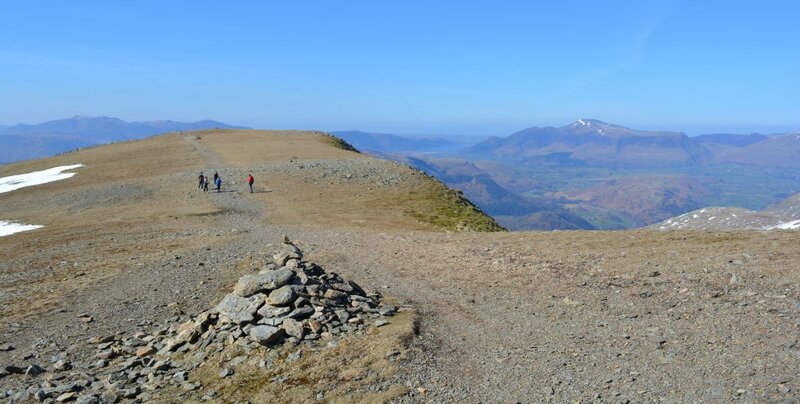 This is great walking to the summit of xyz and a much more scenic route than over Striding Edge! 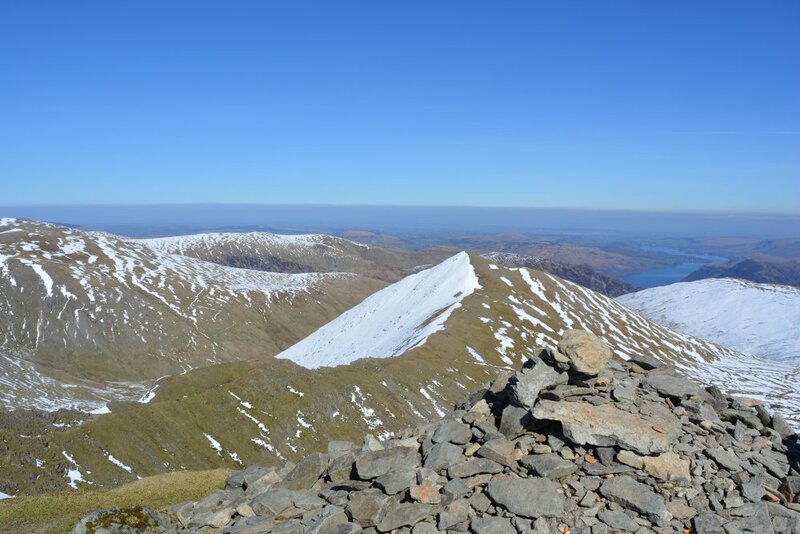 Not far to the summit of xyz. 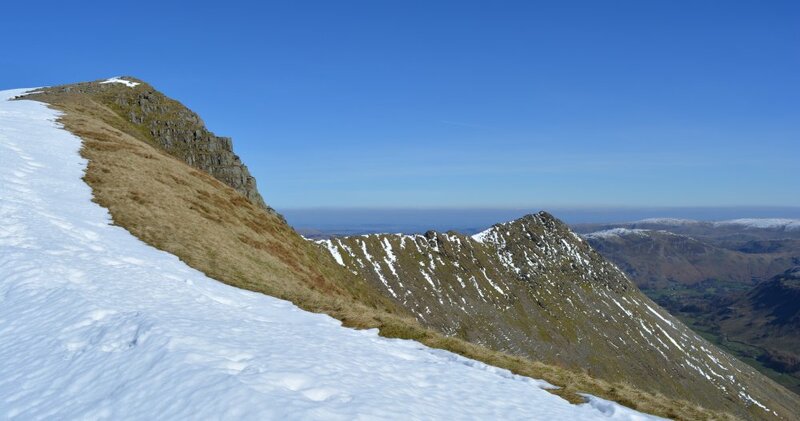 Looking northeast with first view of Striding Edge below the top of xyz. 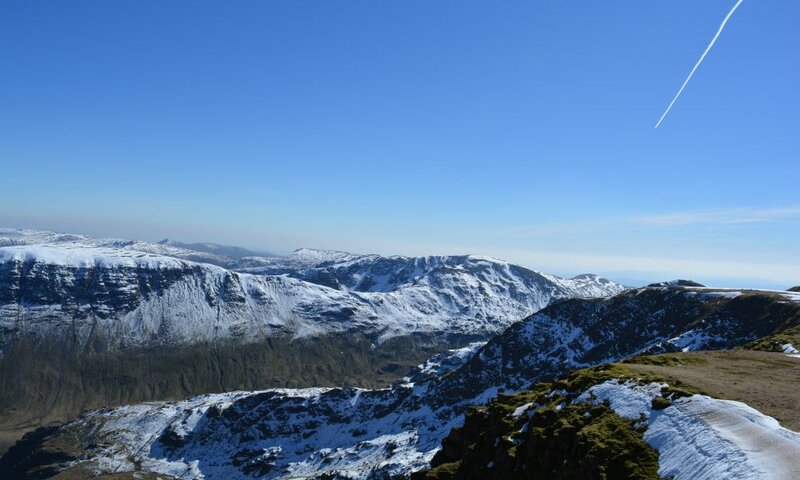 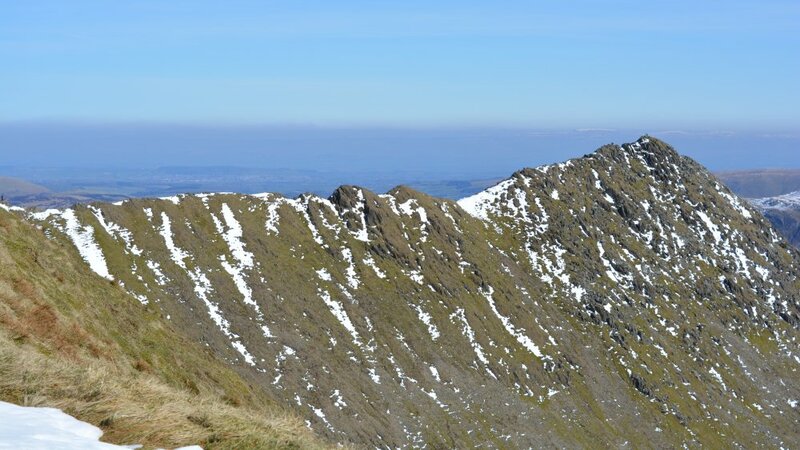 Zoom shot of Striding edge on xyz. 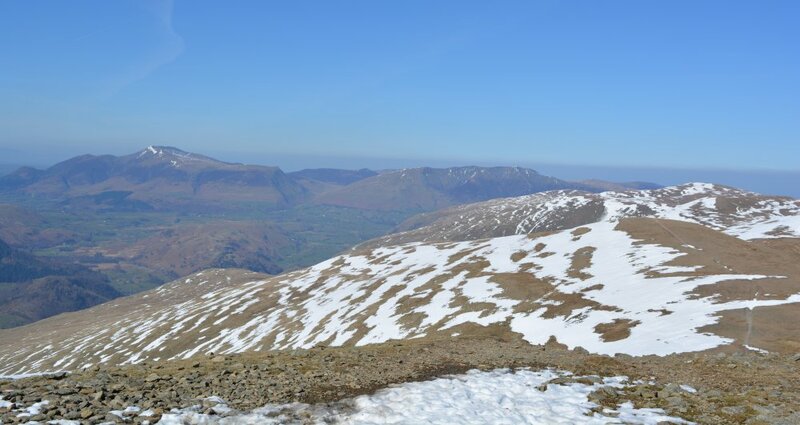 Looking southwest about 200m below the + shelter on xyz. 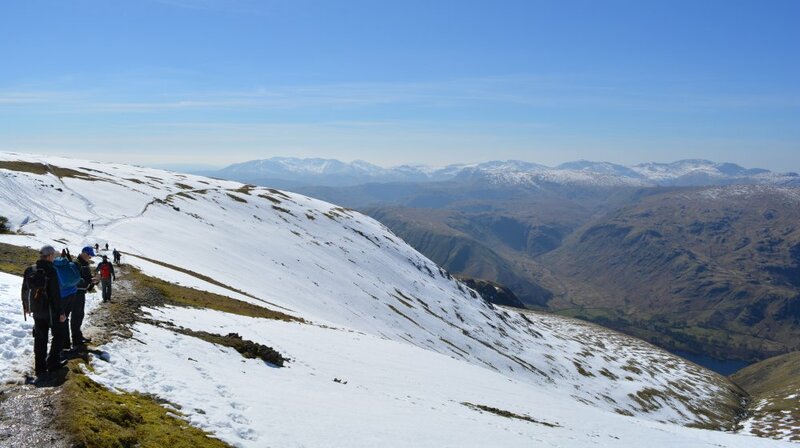 Looking due east down into Grisedale. 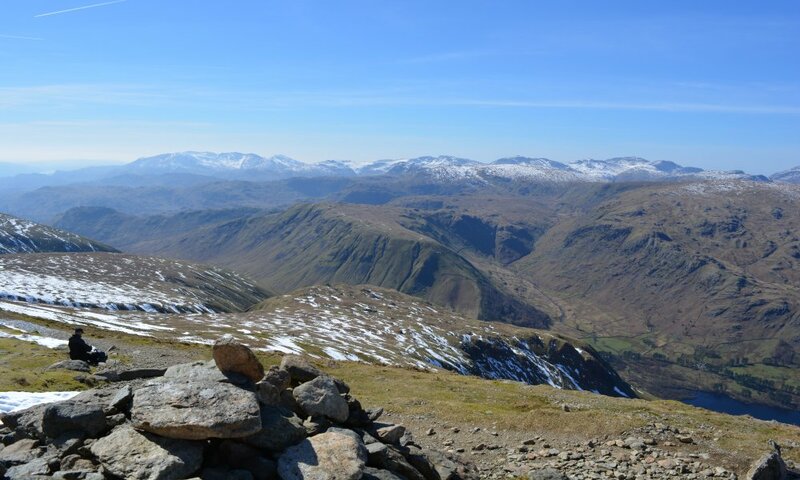 Looking south to Great Sandal (centre). 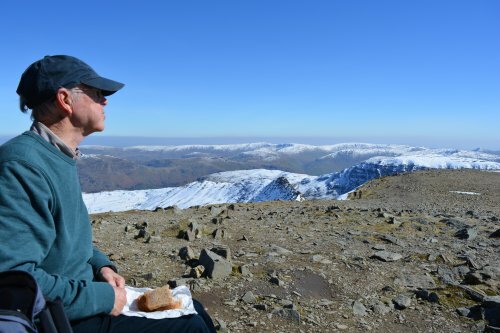 Phil II eating one of Molly's sandwiches in the shelter on xyz. 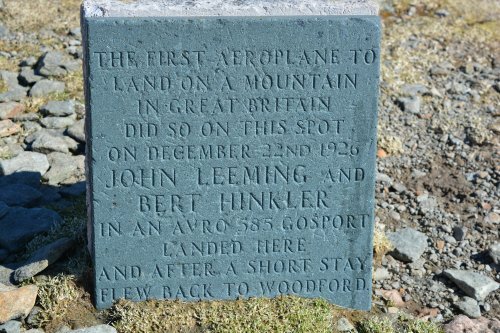 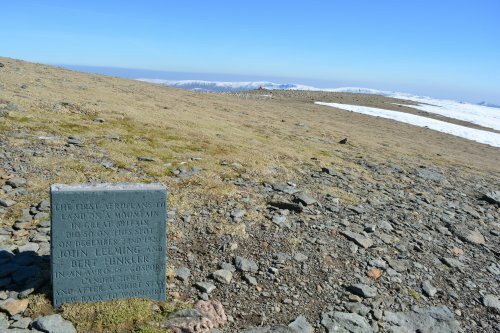 A combative plaque to the first time an aeroplane landed on a mountain. 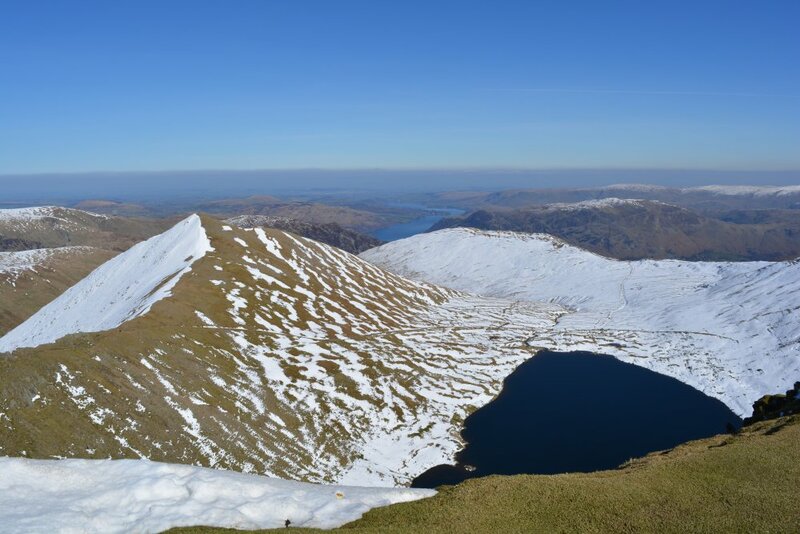 Swirral Edge and Red Tarn from below the summit of xyz. 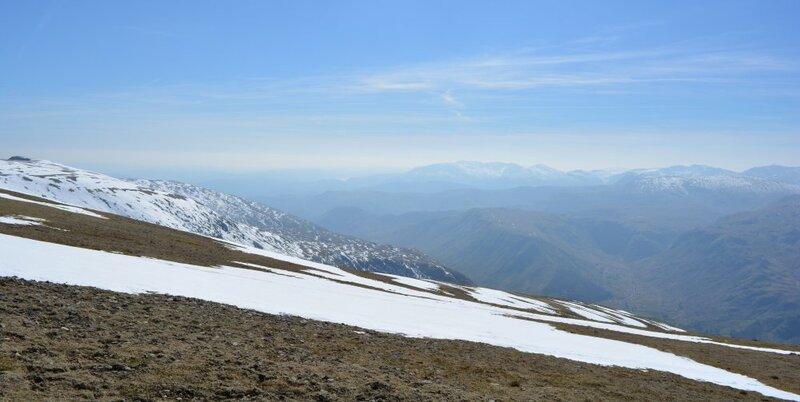 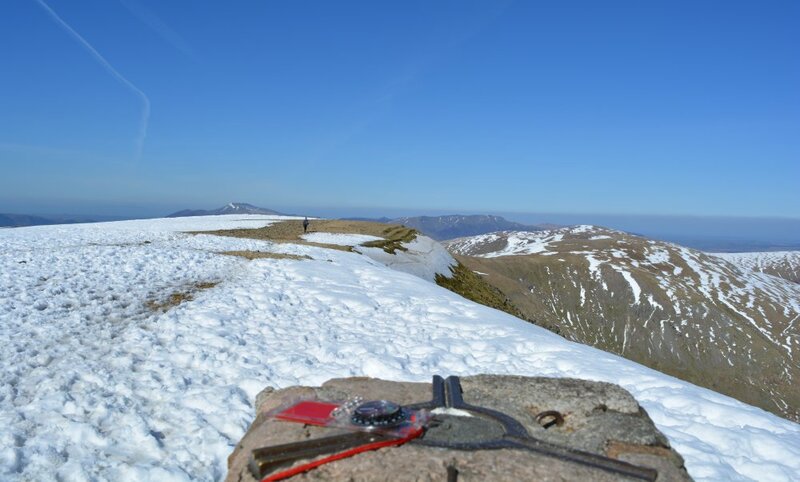 The view north over Swirral Edge from the trig point on xyz. 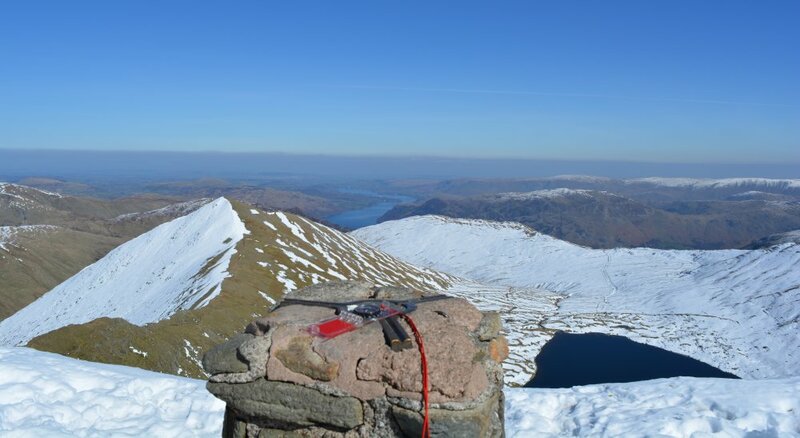 Looking north from the trig point of xyz. 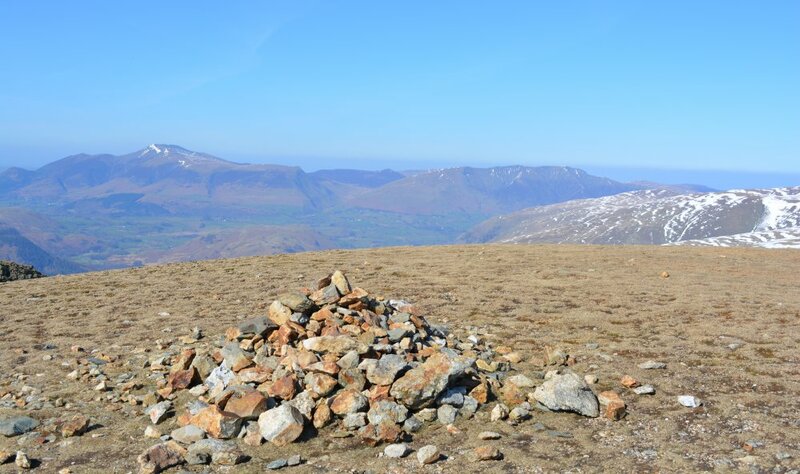 Looking back to the summit cairn of xyz. 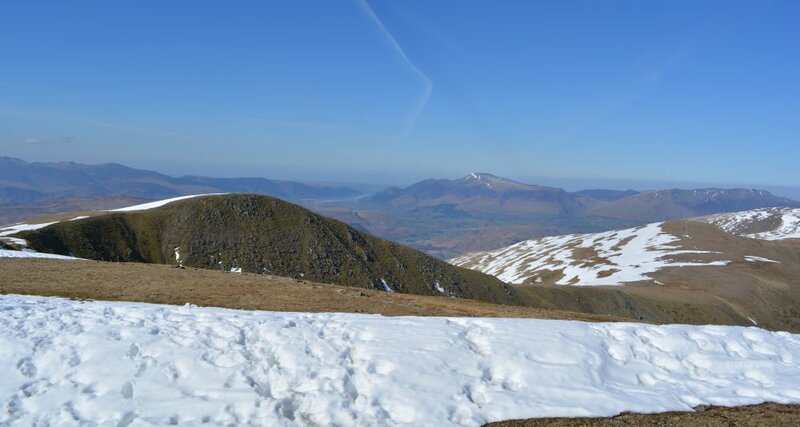 View west from the summit of xyz, a fair amount of snow on top. 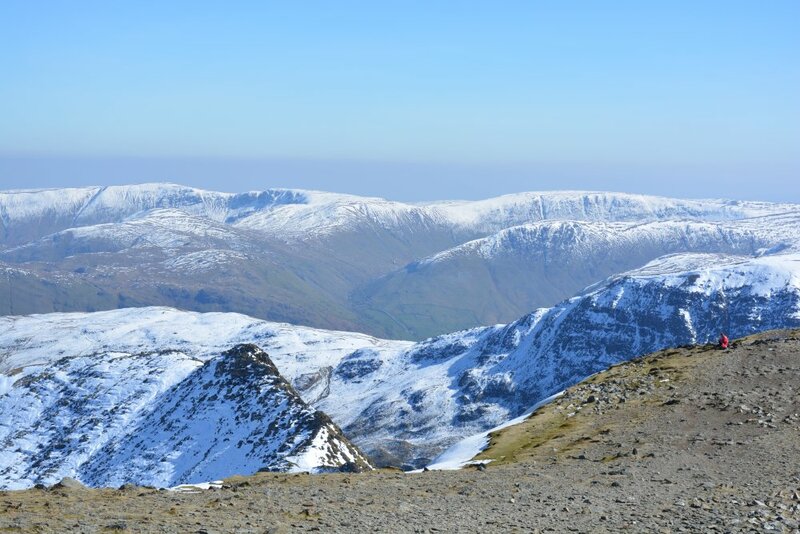 The view north from Lower Man below xyz. 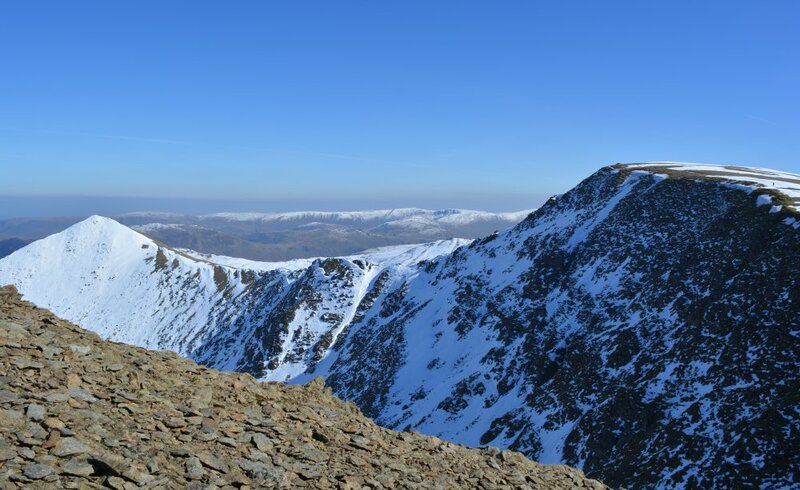 The view east from Lower Man over Swirral Edge. 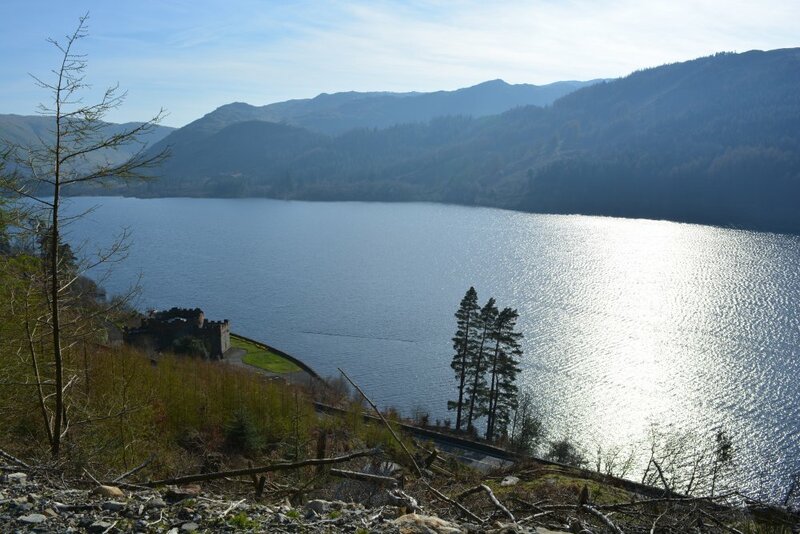 The view northwest as we begin the steep descent to Thirlmere. 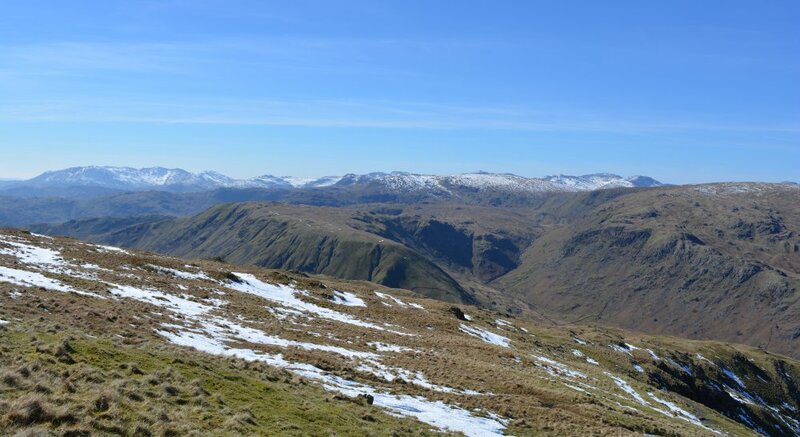 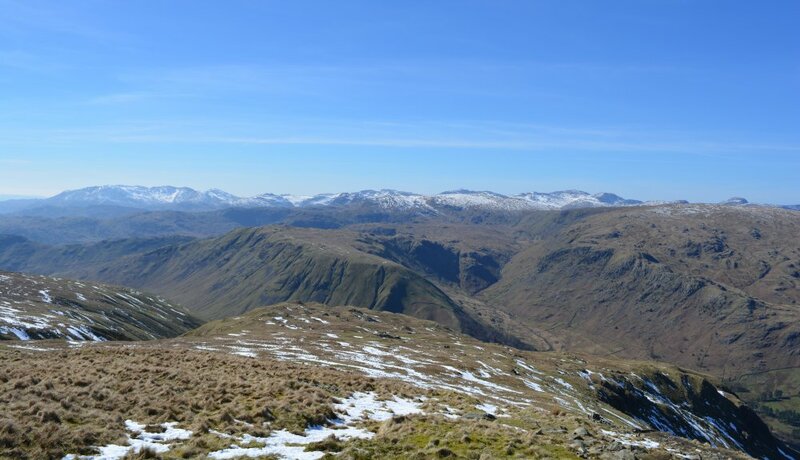 The view southeast from Browncove Crags to Lower Man and xyz. 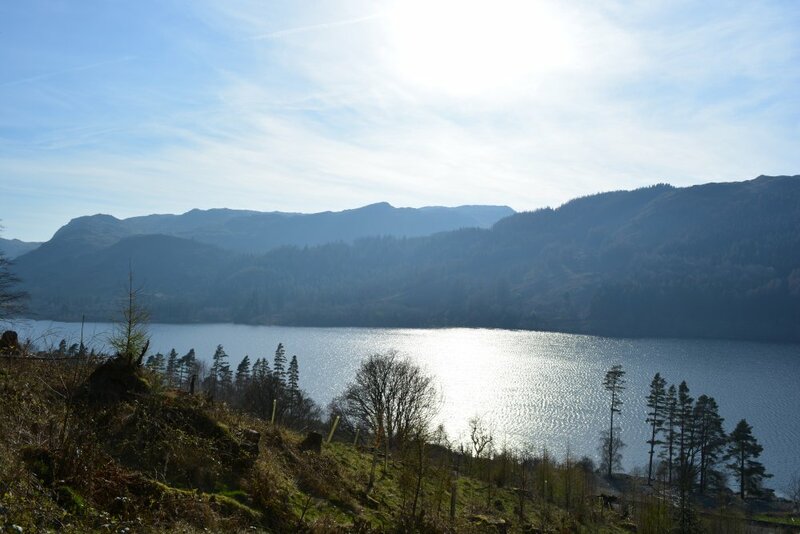 Thirlmere comes into view again. 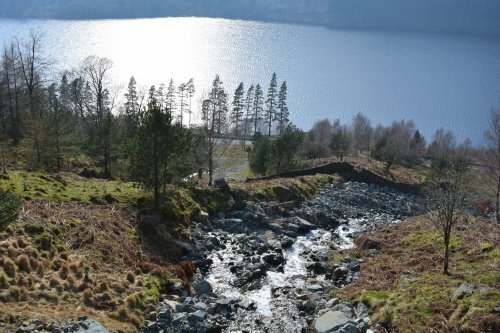 The descent continues northwest to Thirlmere. 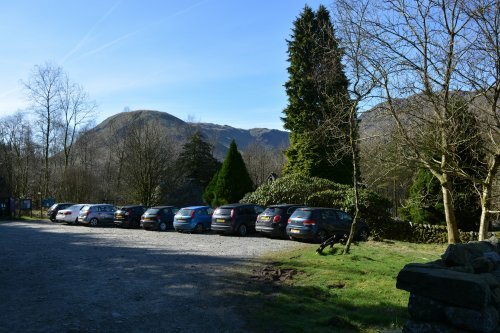 The Swirls car park by Thirlmere. 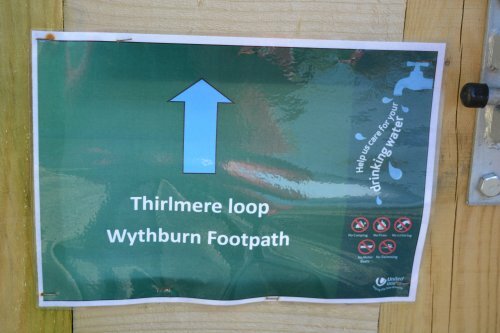 We returned to Wythburn via the forest track that runs due south parallel to the A591 but well above it to be in peace! 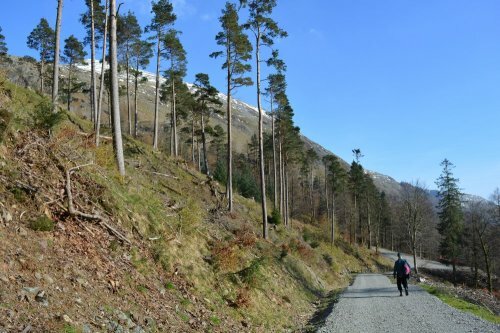 So, I nice easy end to the xyz climb by strolling down through Thirlmere Forest. 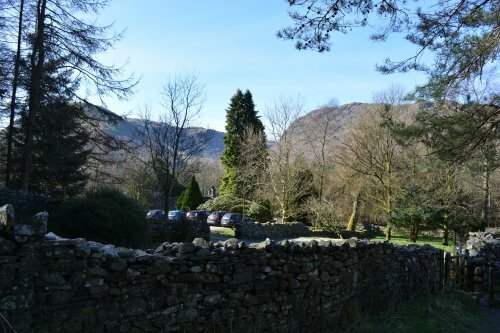 Very pleasurable in the late afternoon winter light. 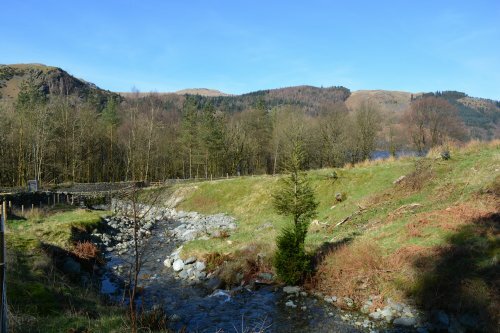 Right: the start of the aqueduct which takes the water to Manchester? 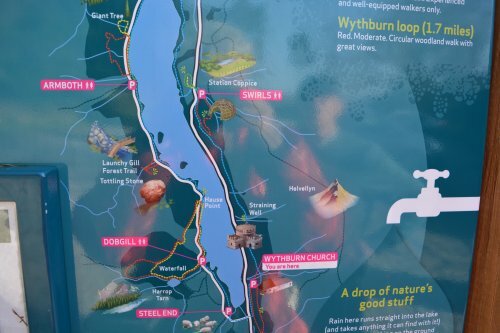 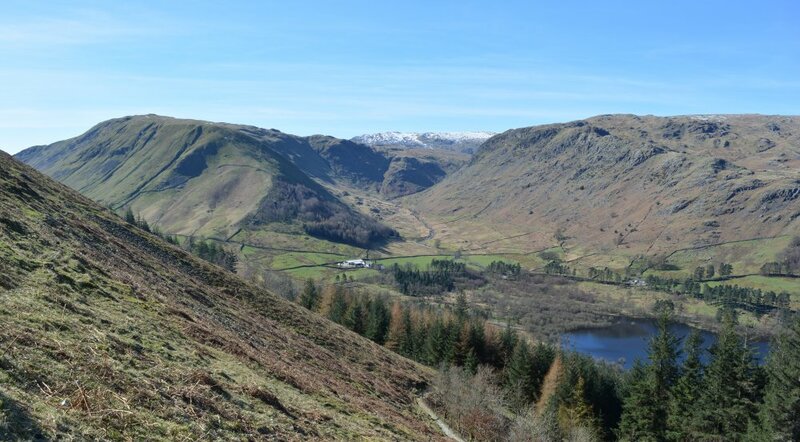 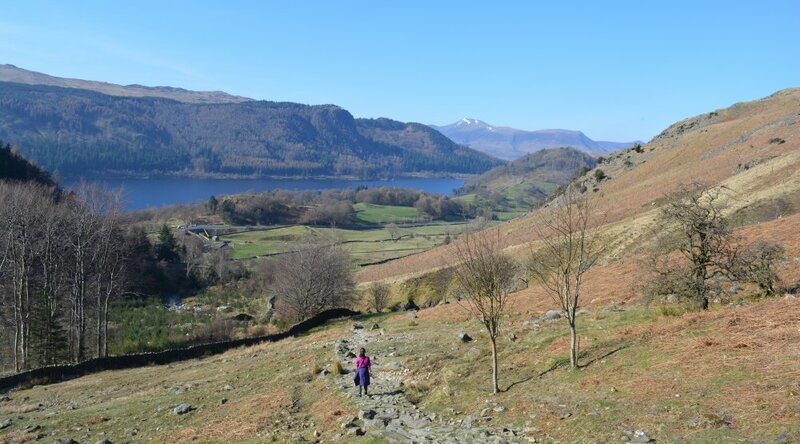 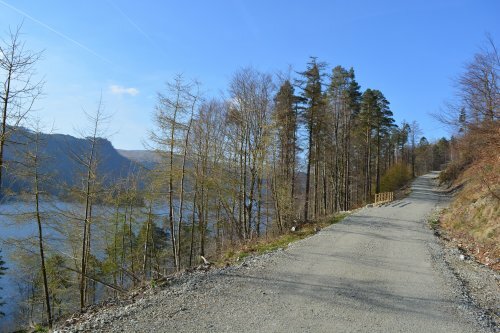 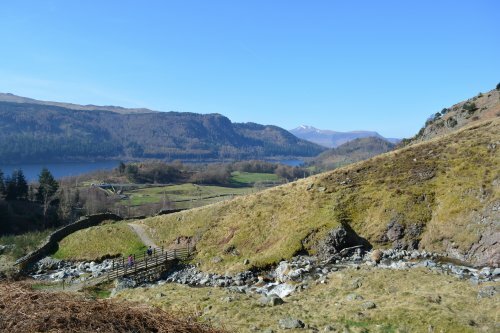 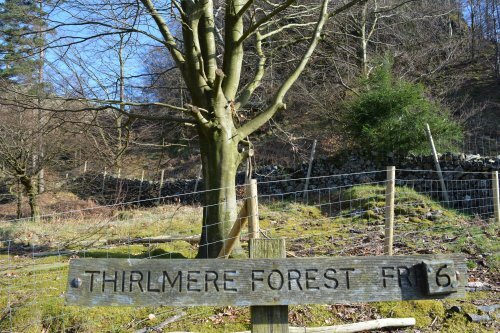 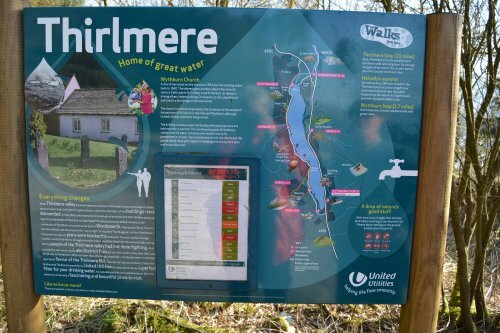 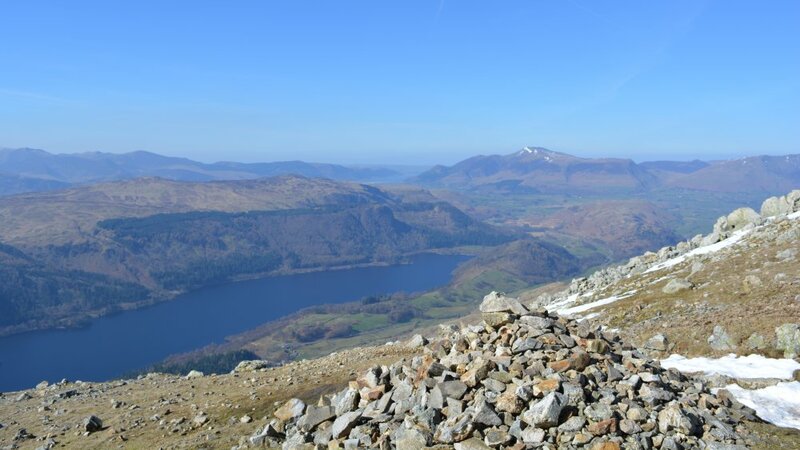 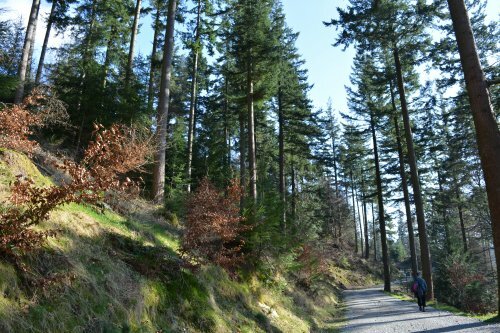 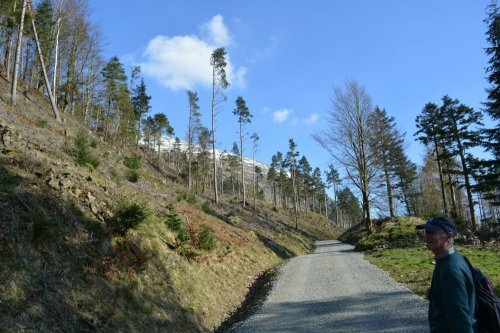 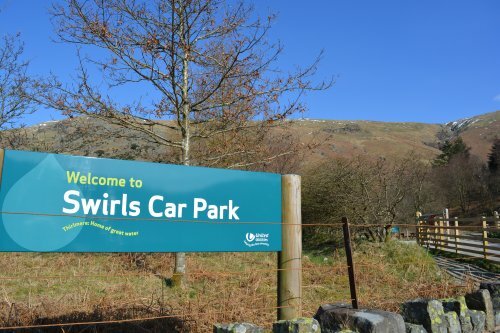 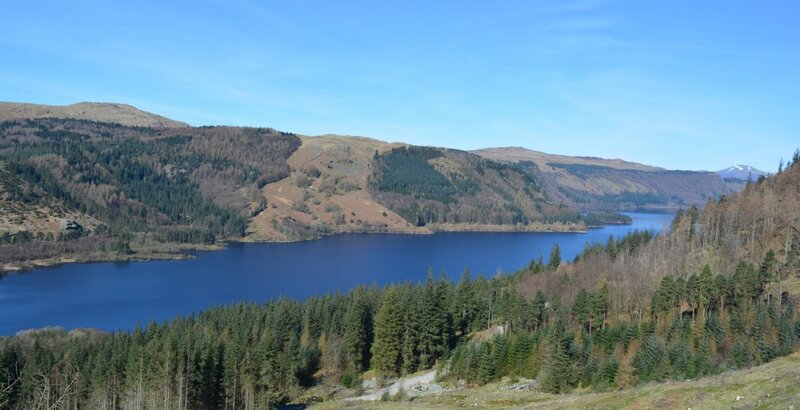 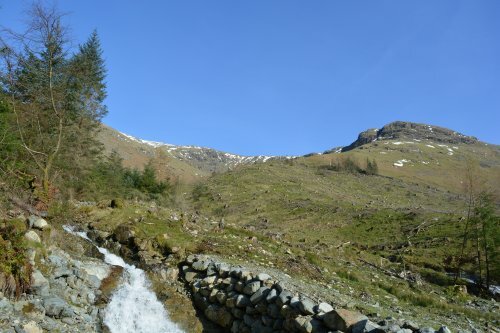 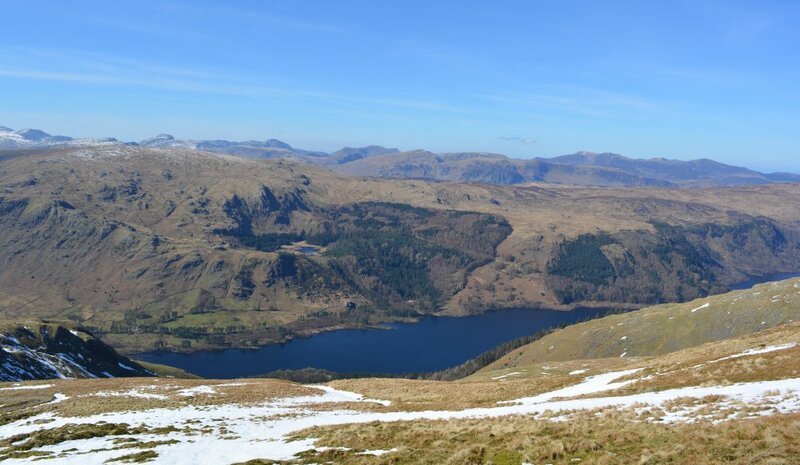 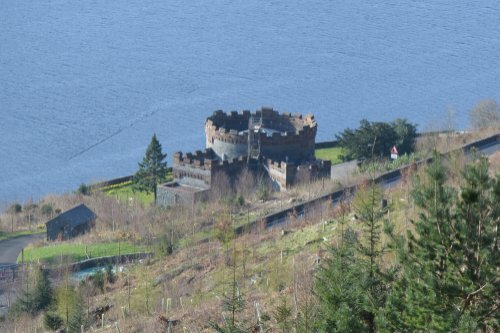 What you walk on from Swirls car park to Wythburn car park is part of the 10 mile Thirlmere loop, the Wythburn section. 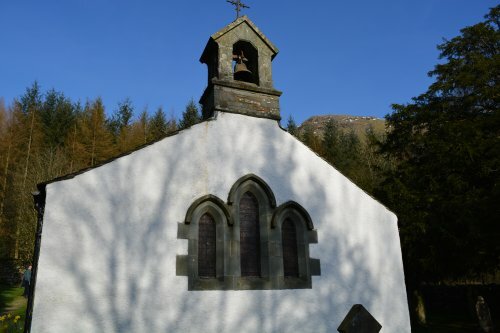 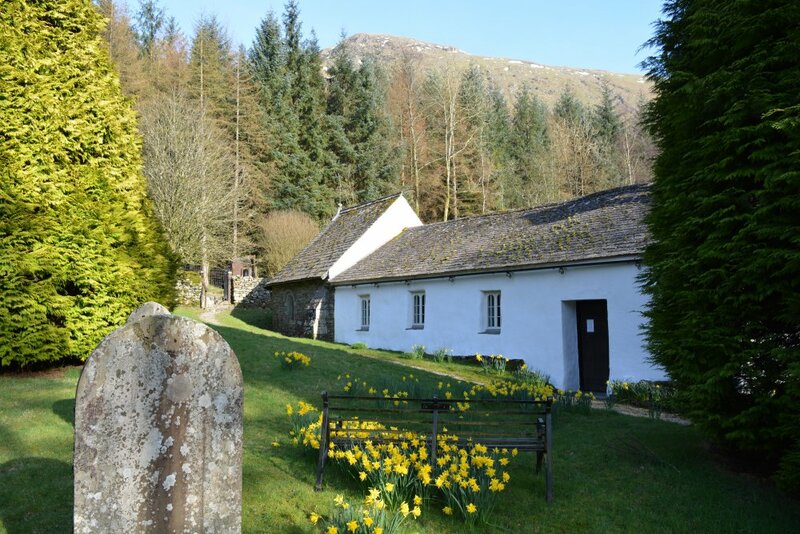 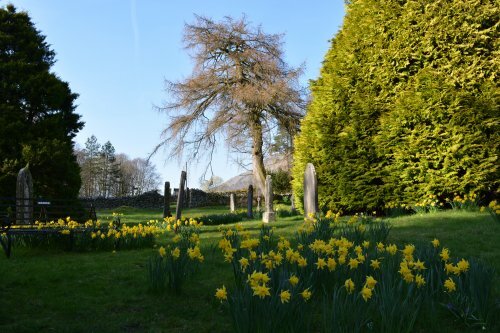 The small whitewashed Wythburn Church is by the car park, and surprisingly peaceful despite the busy A591 Grasmere - Keswick road. 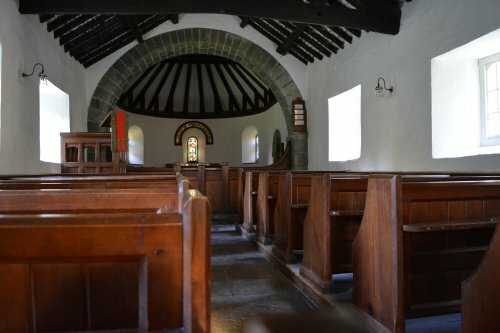 Wythburn Church is the parish church of the area, but few people live permanently in it these days. 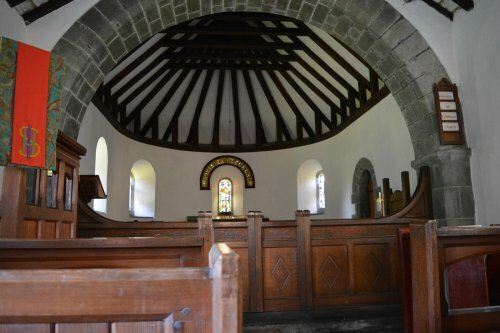 The architecture of Wythburn Church is influenced by the 'Arts and Crafts' style. 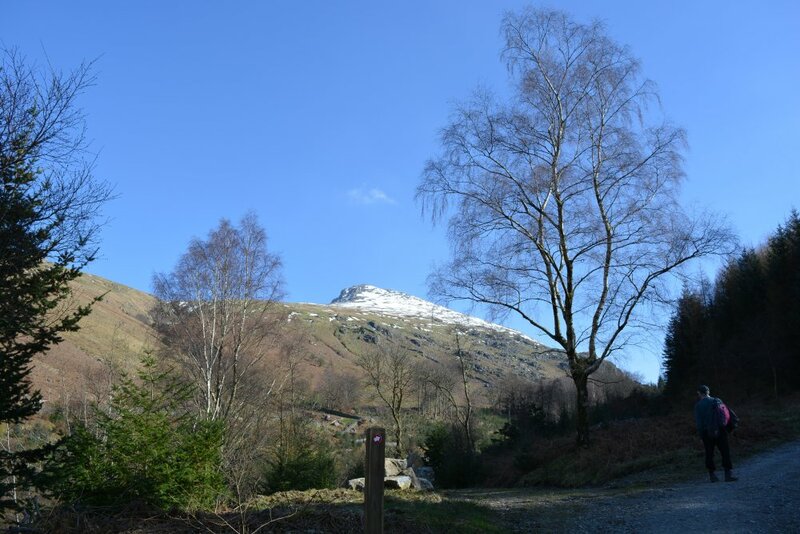 Enter place, walk, mountain, hill, village, town. 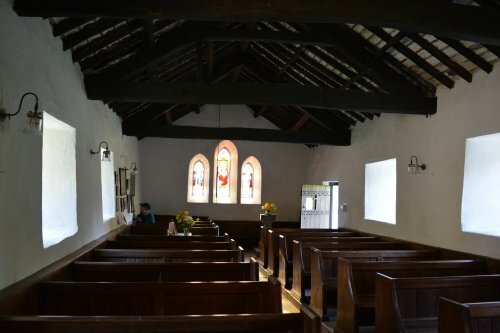 city, feature, historic site or building, museum, anything of interest!